Located in the former Spiegel Catalog Warehouse, the Bridgeport Art Center hosts artist studios, a special event venue, gallery space and a raw industrial work space. Every third Friday, artist in the building open their creative spaces to the public and give visitors the opportunity to buy one-of-a-kind pieces. Bridgeport Art Center is a visually breathtaking creative home for artists, designers, and professionals. 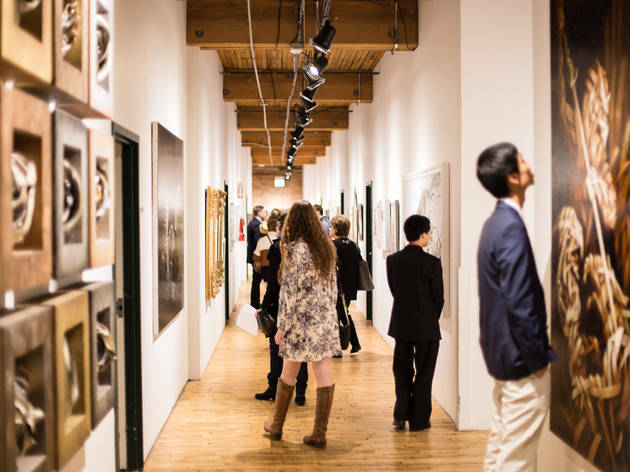 Since inaugurating its Gallery Program in 2012, Bridgeport Art Center has presented over 30 exhibitions in four curated art galleries, showcasing more than 400 artists. 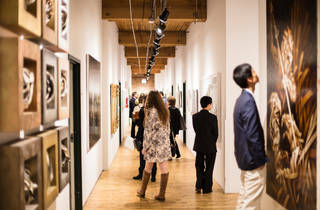 This dynamic building also boasts the Fashion Design Center, Chicago Ceramic Center, two stunning event venues, and more. Want to explore this multi-faceted building? Join us for OPEN STUDIOS every THIRD FRIDAY of the month. Painters, sculptors, photographers, fashion designers and woodworkers open their studios with interactive demonstrations and special in-studio events. Every month is something different – don’t miss out on this FREE art-filled experience! Great place to check out on Third Friday's. Three galleries, open studios and sometimes a bonfire. Super beautiful building as well.